Three genies. Three lamps. Three women to drive them wild. Dinah craved a peaceful vacation and was willing to step on a few toes to get it. Unfortunately, some of them belonged to a sizzling genie with lust on the brain and trouble in his eyes. He, and the trouble, followed her home. Damn shame she couldn’t separate the two. 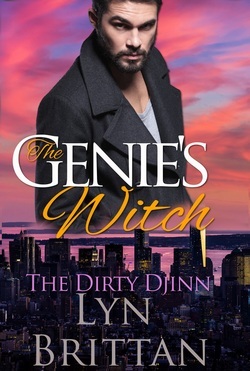 When a genie abandons his lamp, only a witch can help him find home again. Tossing his lamp in the ocean may not have been the smartest thing Faruq’s ever done. Heartbroken and homeless, he’s spent the last hundred years trying to make up for that asinine decision. Now he needs it back and it’ll take the power of a witch to make it happen. The trick is finding the right one. Cassia’s just about the least powerful thing in Galveston. Fine with her. She happily gave up magic ages ago in hopes of finding something close to normalcy. With a great job and an awesome house, the lack of the supernatural hasn’t hurt her any. 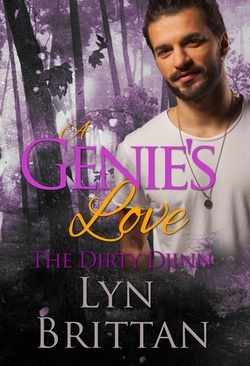 But when a handsome genie stumbles into her life, he threatens to burn her carefully constructed world to the ground. He needs her to save his magic, but at what cost and is it a price she’s willing to pay? A ranch, a genie and a very wary ex-wife. When a genie buys a ranch, what’s the worst that could happen? A lot when his not-so-cowgirl, ex-wife shows up with a dead body in her wake and a piss poor explanation for it. This sure as crap wasn’t how Fazil imagined their reunion going. The last thing Rosa needed was to come groveling to the alpha jerk she married nearly a century ago. Once she gets rid of her little corpse problem, she doesn’t have to see him again. Assuming she can keep her mind off his lamp and her heart in hand.